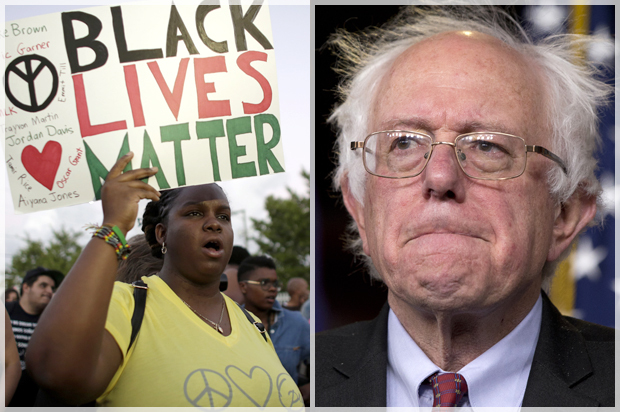 Bernie Sanders’ big test: Can he learn from his Netroots Nation conflict with Black Lives Matter activists? Sen. Bernie Sanders is who he is: a 73-year-old socialist inured to being told he’s wrong, politically, who’s developed an ironclad hold on the conviction that he’s right. So it’s not surprising that he’s resisting learning lessons from his early campaign stumbles at winning support from African Americans and Latinos. If you’re a Sanders fan, part of what you like about him is that he sticks to his guns. In fact, Sanders fans are a lot like him: used to being on the political margins, they’ve learned to take refuge in the knowledge of their righteousness, which eases the sting of being perpetually in the political minority. Unfortunately, the mutually reinforcing self-righteousness of Sanders and his supporters is a liability for his promising presidential campaign. Sanders has a genuine problem with the Democratic Party’s African American and Latino base, and no amount of insisting that class supersedes race will change that. I wrote about it last month, and got a ton of pushback from Sanders backers. Then came the conflict at Netroots Nation on Saturday, where Sanders was heckled by Black Lives Matter protesters. Every night, some 1,000 refugees arrive at the Greek island of Lesbos, many cramped on rubber dingys carrying 35 to 45 people each. More than half of them fled Syria, others left violence-torn Afghanistan and Iraq. After making it safely onto Lesbos’ shores, for many refugees, a harsh reality check awaits. The number of migrants arriving on the Greek island in hopes of finding safety and a better life in the European Union has risen dramatically in the past year, but the island lacks the resources to accommodate them properly. A migrant family rests in the Kara Tepe transit camp in Lesbos, Greece. 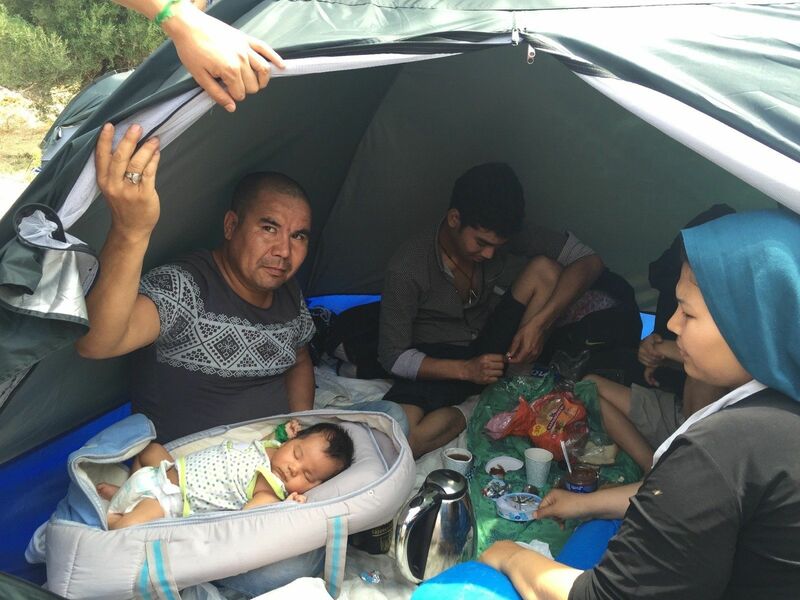 New migrants usually arrive on the island’s northern shore and need to make their way 40 miles south to the transit camps, where they stay up to ten days before moving to a detention center to be registered. Some of the transit camps, however, lack adequate water or sanitation facilities as well as organized garbage collection, Kirk Day of the International Rescue Committee told The Huffington Post in an email. He added that the sites’ residents are exposed to communicable diseases and injury infections. Some migrants arrive with diarrhea, deep cuts or open wounds that are left untreated in the camps. Those in need of medicines for heart problems and diabetes often have to wait for supplies. Faced with a crippling economic crisis, Greece’s government in Athens has been unable to provide the migrants on the island with the necessary assistance and the United Nations has urged other countries of the European Union to step in. In the meantime, it is often left to local residents, activists and aid organizations to fill the gap. ‘The State is filled with systemic violence which all of us have to resist,’ says the DU academic, out on bail after 14 months in jail for suspected links with Maoists. Dr GN Saibaba, an English professor at the Delhi University accused of being a part of the banned CPI (Maoist) is back home after 14 months of imprisonment in Nagpur central jail. The police first raided the wheelchair-bound academic’s house on the university campus in September 2013 with the objective of recovering property allegedly stolen from Aheri in Maharashtra. They arrested him nine months later while he was returning from an examination centre in the university on May 9, 2014 accusing him under several sections of the Unlawful Activities (Prevention) Act. On July 3, the Bombay High Court granted him three months bail following reports of his deteriorating health condition in Nagpur jail. His trial is yet to begin. Back at his home surrounded by his family members and his books, Dr Saibaba, who happens to be paralysed from his waist downwards due to polio since he was five years old, spoke fearlessly against what he described as the continuing repression of the state.